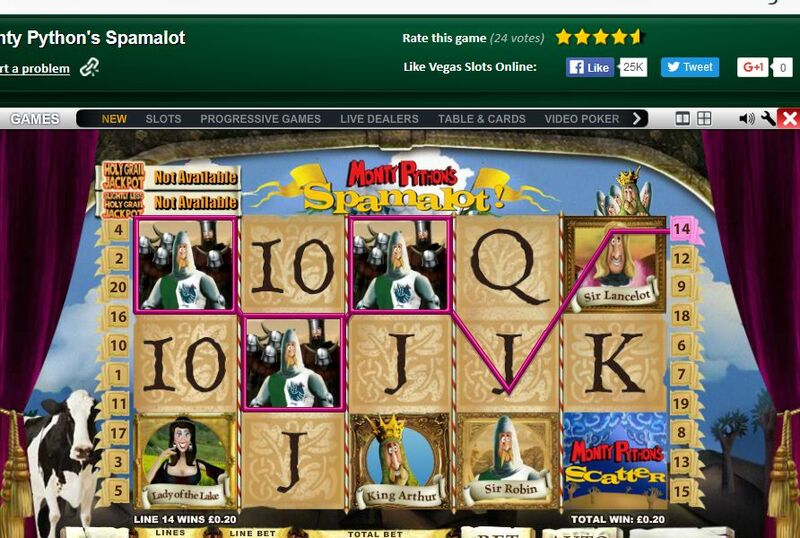 Where to Play Monty Python's Spamalot for Real Money? 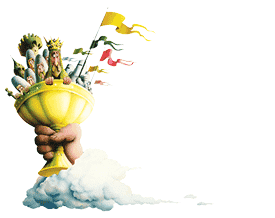 Monty Python is one of the most famous comedy shows of all time, and Spamalot was the stage show spawned by the madcap antics on-screen. As you might imagine, this is a slot that brings laughs on a regular basis, but it doesn’t lose sight of its main purpose though, which is to give every player the chance to win some really nice amounts of money. You don’t have to be a fan of the show to enjoy this slot either, as the excitement brought solely by the game is enough to ensure most people have loads of fun. When it comes to the symbols, they range from standard 10 to A symbols through to ones featuring the stars of the production, including Sir Galahad, the Lady of the Lake, and King Arthur. Don’t skip the intro movie either, as it’s great fun and really sets the scene for the game. The graphics are pretty good, although not at the level of some other games, such as those from BetSoft. Incredibly crisp and modern graphics probably wouldn’t fit this online slots game though, so they aren’t missed. So, overall, when it comes to the theme of this slot, there’s really nothing to complain about at all! 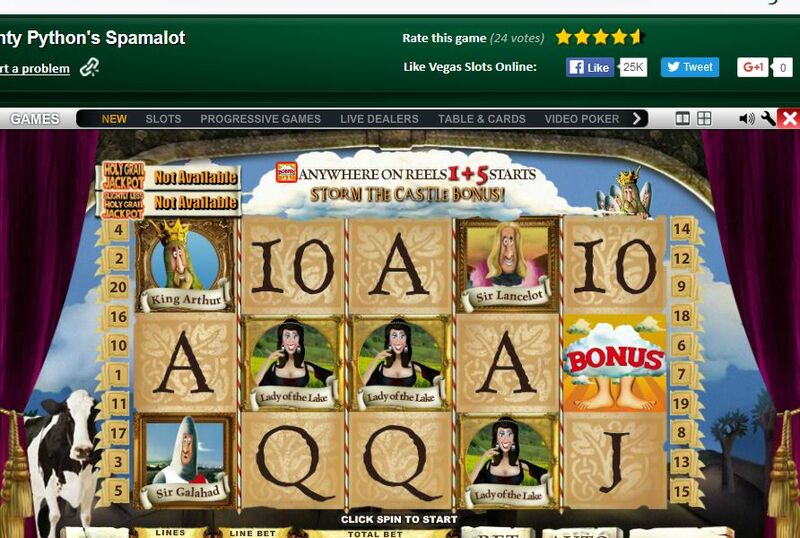 How to Play Monty Python's Spamalot Casino Game? 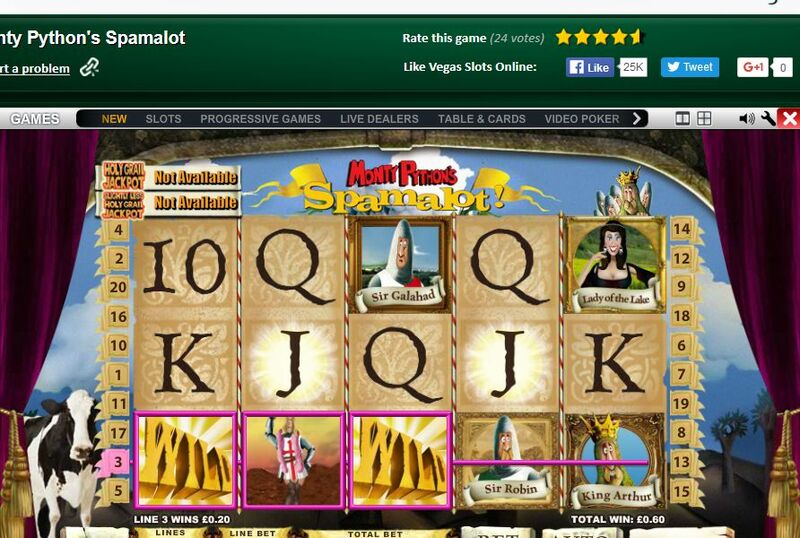 Monty Python’s Spamalot is incredibly easy to play, so those new to the world of online slots should be able to start playing straight away. The first thing to choose is the number of paylines you want to play, and this can range from a single payline all the way through to 20. It’s important to remember this though: playing more paylines will lead to a better chance of spinning in a winning combination. 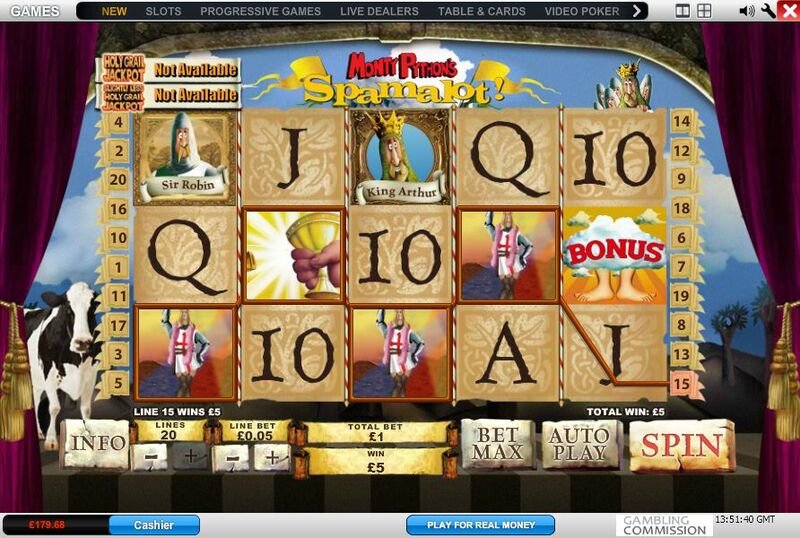 You can also then choose how much to bet on each payline, with larger bets leading to larger potential prizes. Once you’ve made these decisions, you can then get the reels spinning at this fun slot from Playtech. Winning will involve getting three or more symbols lined up on one of the active paylines, and prizes can range from a tiny amount of coins through to a progressive jackpot, which can sometimes be worth millions. It is also possible to spin in one of this slot’s bonuses, and there’s more on these further down the page. 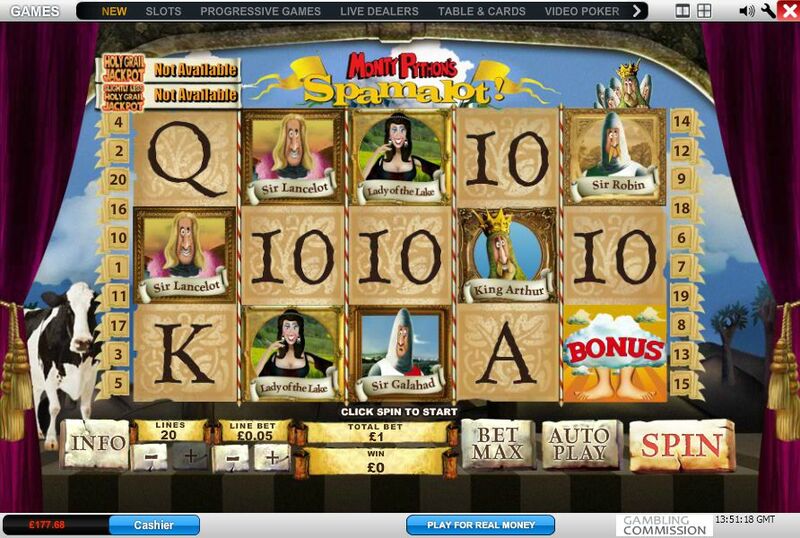 As with any good slot, Monty Python’s Spamalot has a number of great bonuses, however unlike many slots, most are activated in exactly the same way. This is because the bonuses will progress the more you unlock them, making for a fantastic experience. The way to unlock them is by landing the bonus symbol on reels one and five. The first bonus you’ll get is the Storm the Castle Bonus, and this is a simple picking game, which is over when the French troops manage to hit you with the cow. The next game is the None Shall Pass Bonus, which sees you trying to chop off a limb of the Ridiculously Brave Knight. Every hit wins a prize, and every miss sees the multiplier drop. The third of the bonuses is the Knights Who Say Ni Bonus, which sees you bartering with the knight over, yep, you guessed it – a shrubbery. The final of the bonuses is the Killer Rabbit Bonus, and this sees you trying to navigate the knights past the killer rabbit, earning prizes when you do. This progressive jackpot is perhaps the high point of the game, but what exactly is it? Well, a progressive jackpot is one that keeps on rising the more the game is played, meaning that it can become huge. The game that’s used to win the progressive jackpot sees you trying to ascend six different levels, while trying to avoid being squashed by the giant foot in the process.